Priests for Life invites you, your family, your pro-life group, and your parish to join in saying the following novena prayer. Please sign up below to let us know you have joined the many others who are praying this novena! 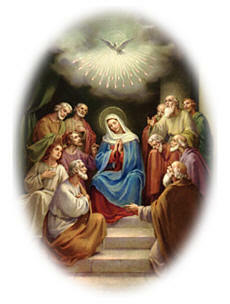 In the days leading up to Pentecost, the disciples prayed for the coming of the Holy Spirit. We too pray for his coming, and for his power that renews the face of the earth and brings about the victory of life.